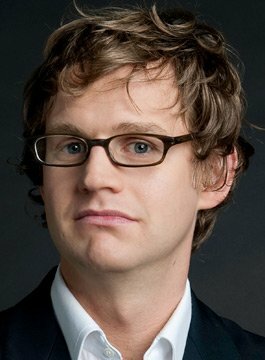 Mark Dolan is a comedian, TV presenter and writer. Mark is lately best known for his Channel 4 documentary series, The World’s…and Me, which featured the world’s smallest, tallest and hairiest people, as well as the fattest pet! The show was a critical and ratings success. Mark Dolan also hosted all three series of the raucous Channel 4 hit comedy show Balls of Steel, which broadcast from 2005 to 2008. He also hosted a spooky series for Channel Five in 2007, Urban Legends. Mark currently indulges his passion for film, as the writer and presenter of Sky’s flagship movie show 35mm, in which he reviews the latest cinema releases and interviews the stars behind and in front of the camera. He has hosted 35mm since 2008. He is also a guest contributor on LBC’s Breakfast Show. Mark’s debut book, The World’s Most Extraordinary People …and Me, was published in July 2010 by Harper Collins, and is inspired by his hit Channel 4 series. Among the people Dolan writes about are a seven-year-old who can bench press double his bodyweight, and the person who holds the record for the biggest enhanced breasts! Mark Dolan is one of the UK comedy circuit’s most in demand MCs, with a Saturday night residency at Soho’s leading comedy venue, the Amused Moose and a successful run of his Edinburgh Festival one man show, I’m Here to Help! in 2007, in which he helped solve the audience’s problems. As a live MC, Mark delights audiences with a mix of topical humour, warm audience interaction and an unrivalled, polished delivery. As with his TV duties, Mark is a highly versatile live presenter and compere, having hosted the launch party of the Edinburgh Festival in front of an audience of 2000, presiding over the glittering Filmon.com launch in Central London, and exclusively hosting the Dark Knight Premiere at the Odeon Leicester Square for Warner Bros. Mark has also hosted the 1st Annual Freelancer of the Year Awards, the Financial Times PIPA Awards, and the 4th Annual Conch Awards (sponsored by Pinewood Studios). In addition, Mark has chaired the Sky Movies Debate: Which is The Best Batman Movie?, acted as host and question master at Sky Media’s Pub Movie Quiz, and hosted the World Photography Awards in Cannes. Mark Dolan is a charming, quirky, intelligent and highly witty host, bringing a wealth of experience and professionalism to any event.